The hackers targeted the infotainment system on the Tesla Model 3 and used a "JIT bug in the renderer" to take control of the system, Electrek reported on Saturday. Vancouver: Electric Vehicle (EV)-maker Tesla had to give away one of their Model 3 cars and $35,000 prize money to a group of hackers after they managed to crack its system during a hacking event. Amat Cama and Richard Zhu of team Fluoroacetate exposed a vulnerability in the vehicle system during the Pwn2Own 2019 hacking competition, organised by Trend Micro’s “Zero Day Initiative (ZDI)”, held here this week. The hackers targeted the infotainment system on the Tesla Model 3 and used a “JIT bug in the renderer” to take control of the system, Electrek reported on Saturday. 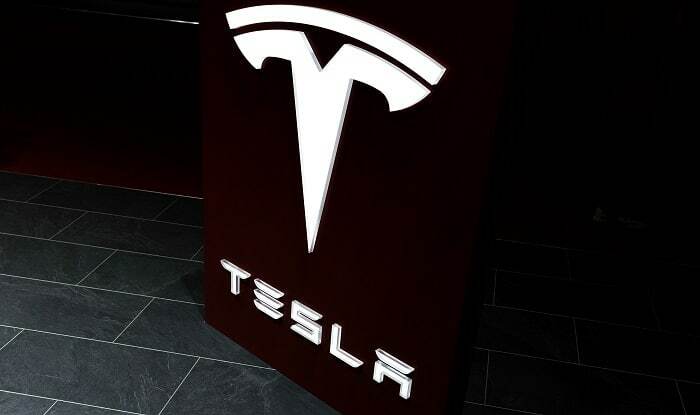 “Since launching our bug bounty programme in 2014, we have continuously increased our investments into partnerships with security researchers to ensure that all Tesla owners constantly benefit from the brightest minds in the community,” the report quoted David Lau, Vice President of Vehicle Software at Tesla as saying. As part of Tesla’s bug bounty programme, the company had given away hundreds of thousands of dollars in rewards to hackers who exposed vulnerabilities in its systems. The EV-maker was fairly quick to fix vulnerabilities exposed by white hat hackers, the report said.